Finally! They have updated Windows Live Writer. Windows Live Writer is a nifty tool that allows you to create posts and publish them directly to your blog. I personally use it for all my blog posting. If you are on Windows and never tried it, you should give it a go. From BBC News: "The Wizarding World Of Harry Potter will open at the Universal Orlando Resort, in Florida, in 2009". The new park will be located within Universal Studios in Orlando, Florida. 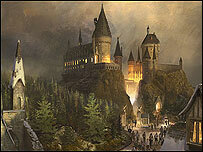 It will feature the Hogwarts Castle as well as the Hogwarts Express. The production designer Stuart Craig, who has worked on the Harry Potter films, is leading the design team to ensure it will remain faithful to JK Rowling's vision. Construction in the park is expected to begin in the next few weeks and the opening is planned for 2009. Harry Potter author JK Rowling said: "The plans I've seen look incredibly exciting, and I don't think fans of the books or films will be disappointed." I hope that they pull out this one fine, otherwise it can seem as a desperate measure to increase the revenue of the Harry Potter Franchise. UPDATE: Harry Potter site MuggleNet has some updated info. The parks is currently scheduled to open on early 2010, it will be built on "Islands of Adventure", "Important that the theme park represents the entire saga from Book 1 to Book 7". There is also an official website up www.universalorlando.com/harrypotter where you can sign up for e-mail updates. If your number one goal is to make sure that everyone likes and approves of you, then you risk sacrificing your uniqueness and, therefore, your excellence. "Rock is dead. 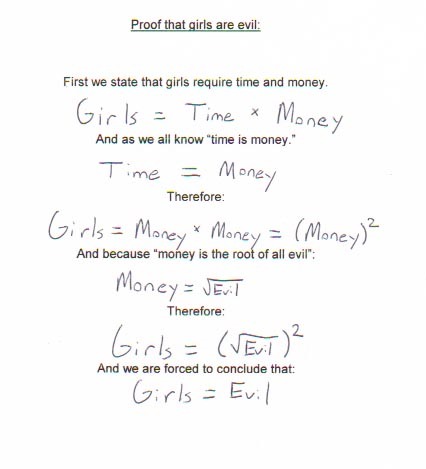 Long live paper and scissors." "Warning: Dates on calendar are closer than they appear." "Give a person a fish and you feed them for a day; teach a person to use the Internet and they won't bother you for weeks. " Happy 30th birthday Star Wars. On this day on 1977 George Lucas' centerpiece, "Star Wars Episode IV: A New hope", opens to the public. Seven Oscars, $461 million in U.S. ticket sales and a gross of close to $800 million worldwide partially reflects it's success. Star Wars revolutionized the way movies are made and the way we look at movies. It created movie cult. Star Wars grew up to be one of the most profitable movie franchises ever. With the movie release came tons of toys and paraphernalia that got incredible sales. The Star Wars story is currently made up of six movies or episodes: the original trilogy, A New Hope, The Empire Strikes Back, and The Return of The Jedi; and the new trilogy, The Phantom Menace, The Attack of The Clones, and The Revenge of The Sith. I like the Star Wars sixtology a lot, some are among my all-time movie favorites. They have a great story (based on the struggle between good and evil), great special effects, great characters, extra care of details, etc. If you haven't seen the Star Wars movies, I highly recommend them because they are a classic and are very entertaining. Finally, after thinking about it a lot, Friday I made up my mind and bought a Nintendo Wii. I do not consider myself a gamer (my last game console was the original Nintendo), but just a few days after using a friend's Wii I got hooked on it. I mean it is SOOO MUCH FUN to play with it. Another thing that I like is that anyone can play it, including my mom and my dad, who barely have played a video game in their life's. The included game, Wii Sports, although very simple is very entertaining and a great way to get hooked on the Wii. Vegetarian is an old Indian word meaning bad hunter. As I have mentioned before, the Yankee Stadium is scheduled to death. As this baseball season evolves with it's ups and downs for the Yankees there is a looming shadow over the Yankee Stadium, the construction cranes of the new stadium. I found this post at the Bats Baseball Blog from the New York Times. This post remembers a song from Frank Sinatra called "There Used to be a Ballpark" that reflects on how we will feel in the future when there is no more "The House that Ruth Built". How does someone looking for the tons of memories from the Yankee history would feel like? How can future fathers tell their sons "look over there, that is the home plate that Joe DiMaggio used to bat in"? 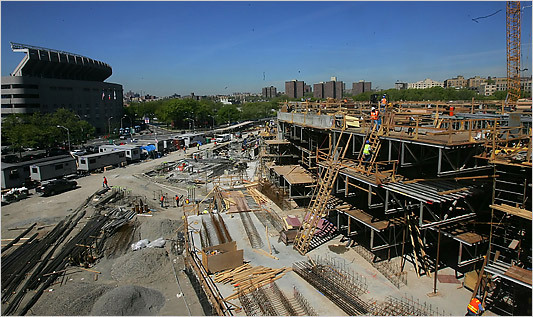 I'll leave you with a picture of the construction of the new stadium (click on the picture to go to the post at the New York Times). In the shadow of Yankee Stadium, construction on the team’s new ballpark is underway. (Ruby Washington/The New York Times). 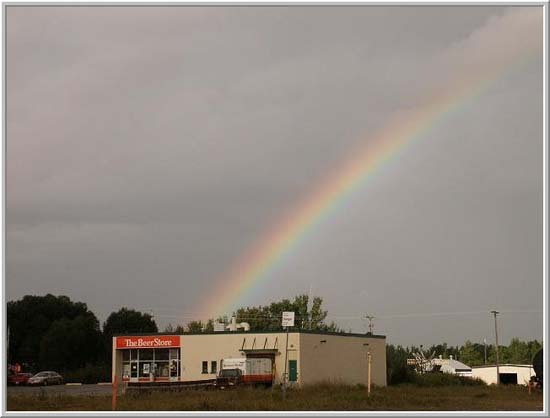 Funny Friday: Somewhere under the rainbow..